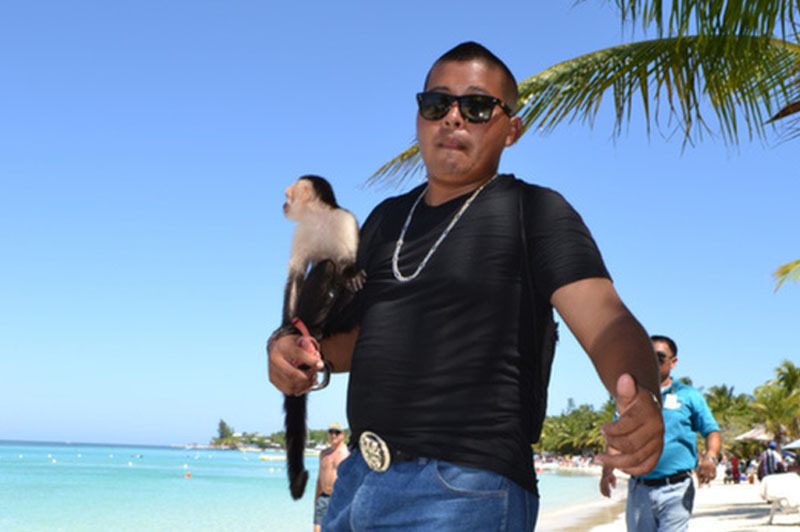 Can I take my pet to Roatan? You can bring your pet to Roatan! It will just take you three easy steps to bring your four legged companion to Roatan with you: 1) Flying on a pet-friendly airline 2) Getting a health certificate 3) Arriving at the airport and making it through customs. And you are set to go have some island fun together! Most airlines will fly your pets to Roatan, but you will need to book early and pay a fee. Delta, Continental, and American Airlines allow pets on international flights and will fly your pet to Honduras including San Pedro Sula and Roatan—$100 each way. Grupo Taca does not fly pets. Delta, Continental, and American Airlines allow small pets to fly in-cabin if it can fit comfortably in a carrier underneath the seat in front of you. However, each airline has a maximum number of in-cabin pets allowed per flight; booking early is suggested. Flying bigger pets requires the pet to fly as cargo. Restrictions for flying a pet as cargo include outside temperature the day of the flight and appropriate kennel accommodations. Check with your airline of choice for detailed requirements. Local airlines in Honduras—Islena, Atlantic, and Sosa—all fly pets within Honduras, including from San Pedro Sula to Roatan. Each airline charges a different amount (ranging from a flat-fee to a per-pound charge) and have different restrictions. The ferry from La Ceiba also allows pets aboard their vessels if you choose to arrive in Roatan by boat. A recent health certificate from your veterinarian (no older than ten days) is required for each pet entering Honduras and for check-in at the airport. As a precaution you can also have your vet fill out a United States Department of Agriculture (USDA) form and have it authenticated by a local Department of Agriculture office: $45. An even further precaution is to take the USDA authenticated form to a local Honduran Consulate for their authentication: $30. However, most times a ten-day recent health certificate will suffice accompanied by vaccination (including rabies) records. The forms should be available at your local veterinarian or on the USDA website. Pets can fly into most airports in Honduras including Roatan International (RTB) and San Pedro-La Mesa International (SAP). Upon arrival with your pet you will go through immigration, but then be directed to the Honduran Department of Agriculture office (found in or near customs). There, the office staff will call for a veterinarian to come and inspect your pets. You will have to wait for the veterinarian to arrive and if he or she is unavailable at the time you will be asked to come back at a later date and permitted to leave the airport. When your pet is inspected by the veterinarian you will be charged $50 and will need to show the health certificate and vaccination records. Flying your pet or pets to Roatan is easily done with the right steps executed. Most people who bring their pet to Roatan experience no problems. On the island there are veterinary services, grooming services, and pet foods for sale to accommodate your pet.